Due to the seasonality and delicate nature of Eve of Milady bridal gowns, not every gown pictured is available in-store. For the most up to date inventory, please contact one of our professional bridal stylists. Eve of Milady bridal gowns are among the most couture, cutting edge, fashion-forward styles in the industry. And now, you can find your favorite Eve of Milady wedding dresses in stock now exclusively at Henri's Columbus! These gorgeous gowns are characterized by a signature look that features hand beading, dazzling crystals, and trademark scroll patterns. 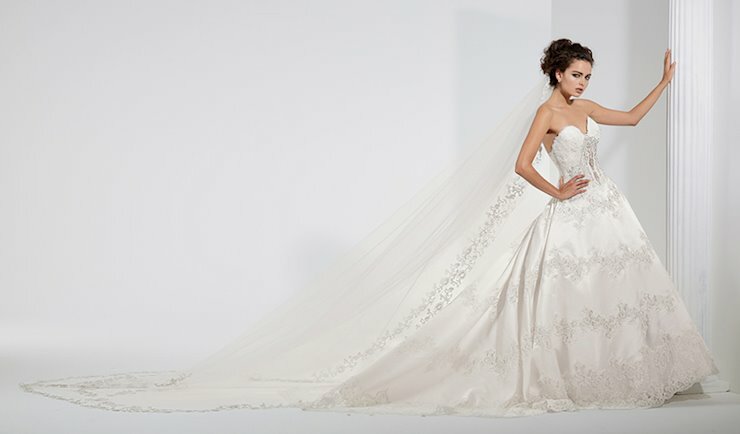 Henri's holds the highest account status with Eve of Milady and all Eve of Milady wedding dress collections.